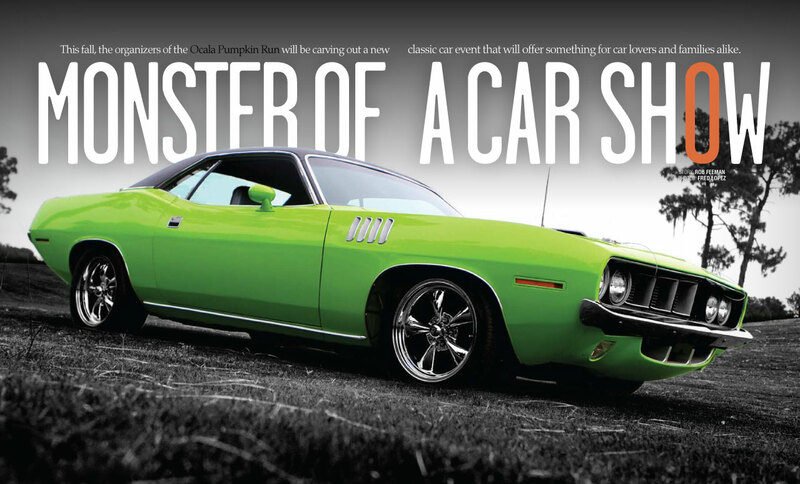 ‘Horsepower in Horse Country’ returns as Ocala becomes the backdrop once again for a premier car show and Fall Festival at the beautiful Castro Farms! Scheduled for the weekend of October 26-28th, 2018, car enthusiasts and spectators can look forward to three days of amazing car action and much more! Our goal once again is to host an exceptional event where families can come together to enjoy cars of all makes and models from all eras, take a prized car to the corral for potential buyers to see, shop with some of the best automotive vendors, enjoy local merchants and their products and services, and then some more. We’ll have local bands, unique displays and demonstrations, and an incredible children’s area with FREE activities for them too! 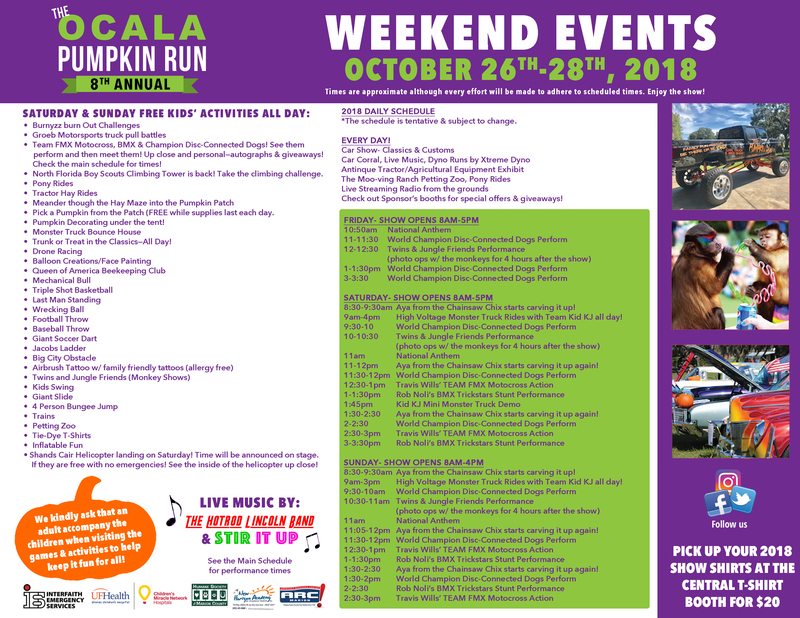 From the Ocala Pumpkin Run Family to the Castro Family, we thank you for your support and generous offer to host the Ocala Pumpkin Run at your spectacular home, Castro Farm. Your generosity has made it possible to bring together a community of car enthusiasts from all over and most importantly, from our own community of Ocala, Marion County, Florida. Thank you for everything!